I recently had the opportunity to confront head on an issue that had become apparent while cleaning some ageing 2mm float glass. It made me explore the possibilities as well as finding a solution! The problem : the 2mm float glass that is commonly used in picture framing is normally supplied in a bulk quantity to the picture framing shop. Bulk can be upwards of 50-100 sheets at a time, which is difficult heavy work to shift all at once. 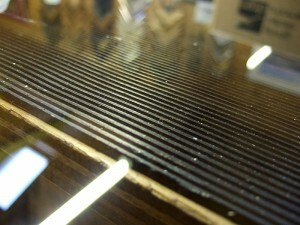 The glass is supplied usually in 1.2m x 0.92m size sheets. They come with a large piece of very thin white paper sandwiched between each glass sheet which offers some scratch protection during transport. The downside to having these sheets of thin white protection paper is that they are very susceptible to moisture ingress and if not immediately stored in a non damp environment can themselves wick moisture up into the face of the glass sheets leaving a residue on the glass surface. The residue looks like a very faint mottling effect. It is also almost invisible unless viewed at an angle under artificial lighting conditions. 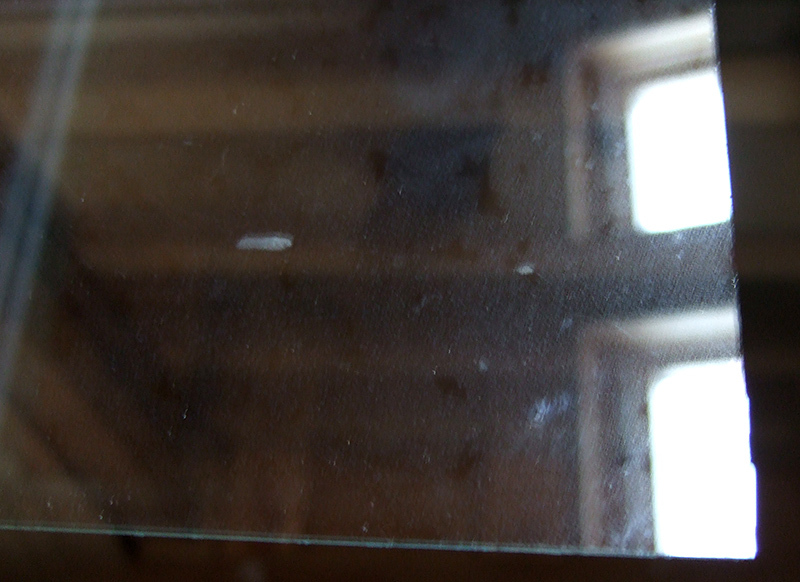 This residue has proven very problematic to remove, resistant to just about every common glass cleaner, and a glass supplier once told me, “Once it’s there, nothing can take it off”. Up until this week, I believed him! Having received a large delivery of glass quite some time ago, and having chosen to store it in a convenient but slightly damper environment, I proceeded to immediately remove all of the paper from between the sheets when it first arrived. I erroneously though that this would take care of the issue, but now that I’m coming to the end of the supply, I have found that this same glass mottling effect is still prevalent despite the absence of the paper. I can deduce from this that the paper must leave some residue on the glass which remains even after it has been removed. This lingering residue then appears to react to dampness which hardens into the slightly visually mottled effect, resembling a faint “etched” like appearance. 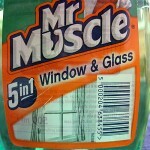 I had previously found no glass cleaner that could clean it. I was convinced it was surface contamination rather than an actual ‘etching’ effect, because I found that you could actually remove some of it with a flat sharp blade. 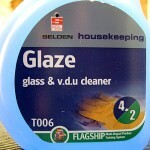 I found that this worked even better when the blade was combined with some glass cleaner as a lubricant. However using the blades could have the downside of leaving hairline scratches on the glass which is a non-starter with picture framing. I had to find another solution to clean these sheets or risk having to throw them out completely. 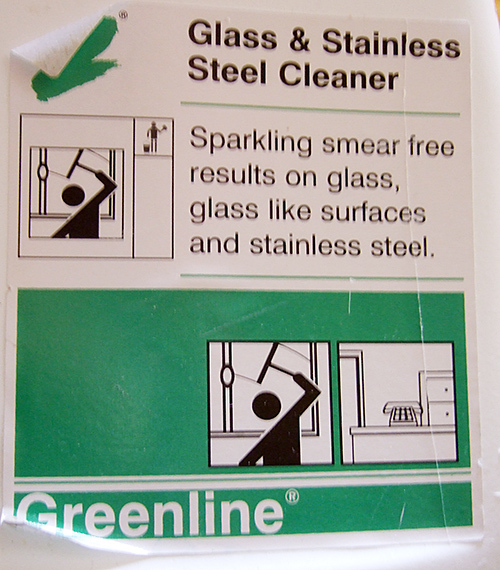 Greenline Glass and Stainless Steel cleaner + mount cutter blade surface scape Partial or whole removal of mottling but with risk of fine glass scratches and slight streaking. 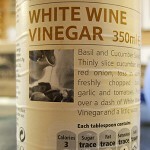 Tesco White Wine vinegar Used raw, undiluted led to immediate removal of surface mottling, although sometimes required a light second finishing wipe. Then cleaned with a final standard ph-neutral glass cleaner clean afterwards. As you can see, the only really reliable approach was found using one of the oldest known glass cleaning substances – undiluted vinegar and kitchen roll. 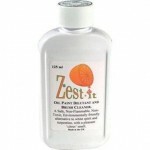 The effect was immediate and repeatable with clean kitchen roll used to wipe it off. 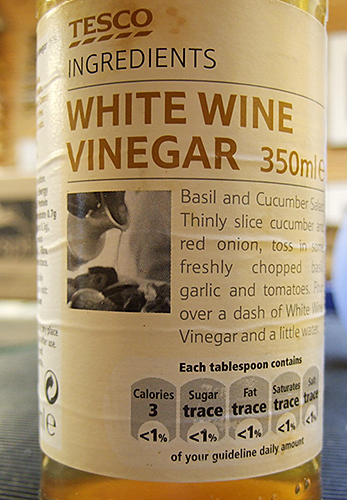 Now this raises another issue in that vinegar is essentially acetic acid with water, and has a ph of 4-5 (acidic). It also has the usual pungent vinegar smell, which is hardly going to appeal to anyone picking up a picture frame! To avoid leaving acidic residues which could in turn affect the longevity of the mount and artwork, I gave the glass a thorough dry before applying two coats (and clean off) with my regular glass cleaner which has a more ph-neutral rating and a much less pungent smell. 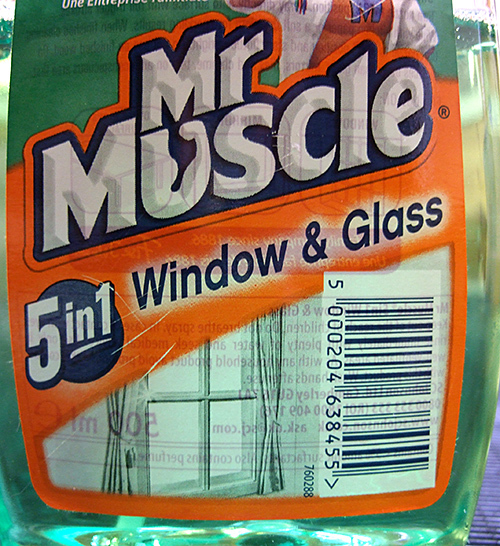 Top tip: If you have to use this technique to clean your glass, just remember to clear away all the vinegar soaked kitchen towels as well as the vinegar bottle before the customers arrive to pick their frames up, other wise they might just think they turned up at the local chip shop! 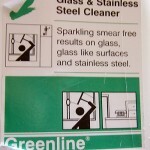 This entry was posted in glazing, picture framing information and tagged cleaning glass, dirty glass, glass, glazing, picture frame, picture framing. Bookmark the permalink.